Describes Shitu’s appointment as Communication Minister as crisis hindering the growth of ICT sector in the country. 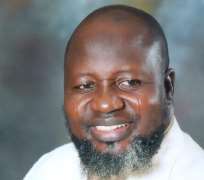 The Computer Guild of Nigeria (CGN) has described the appointment of the current minister of communication, Alh. Adebayo Shitu as the only crisis hindering the growth and development of ICT sector in the country. This was contained in a press statement made available to the pressmen by the National President of the guild, Mr. Wole Adedoyin on Monday. The Guild accused President Muhammadu Buhari of appointing a wrong man for a right job. The Guild however urged President Muhammadu Buhari to reshuffle his cabinet and transfer Alh. Adebayo Shitu to where his knowledge of the Law and Islamic radicalism will be mostly useful.